I once showed the true depths of my ignorance in public by pronouncing that I thought Picasso was rubbish. I think of that moment with shame. I was lucky enough to visit the Picasso musuem in Malaga, Picasso’s birthplace. I won’t pretend to like or understand all of his work but I was fascinated by his Minotaur drawings. One in particular caught my eye. It’s a bit of a spoiler but if you want a look at it, it’s here on MOMA. 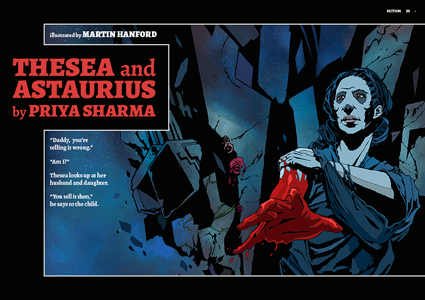 If you like myth based tales, “Pearls” is my version of Medusa’s story. My own favourites include “The Minotaur Takes a Cigarette Break” by Steven Sherrill, “The Lost Books of the Odyssey” by Zachary Mason and “Weight” by Jeanette Winterson. 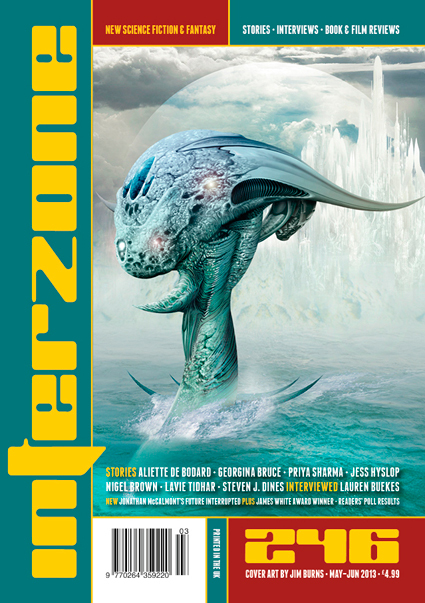 “Thesea and Astaurius” appeared in Issue 246 of Interzone, with a striking illustration by Martin Hanford. 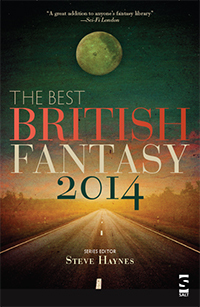 It was reprinted in Steve Haynes’ The Best British Fantasy 2014.